This level has medium difficulty and you need to use good trick to complete this level. 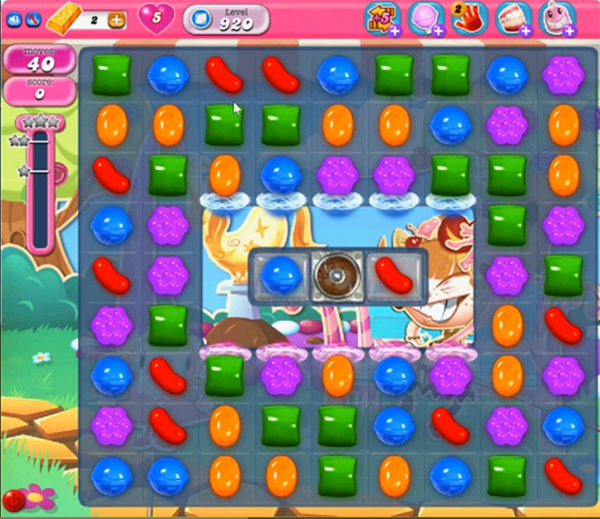 For this level you should try to play from bottom part of the board to shuffle candies everywhere and make special candy as you get the chance. Try to combine striped candy with wrapped candy or colorbomb to break blockers that are in center of the board to reach the target. Dont waste your time on this level .. There are only 2 single layered jellies to clear so just use one JELLY FISH booster at the beginning and match it on the very first move.. It will eat two jellies and u will complete this level with 39 moves left… Keep crushing..
What a super idea… Thank you so much!!! 🙂 Level done!!! What a great tip. One jelly fish worked like a charm. Thank you! What a great tip. It worked. Thanks so much!